The 610�s sleek touchscreen is as rugged as it is functional, proving it�s more than just a pretty face. 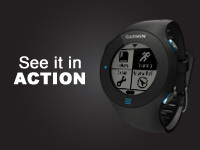 The 610 can stand up to rain, sweat and splashes, yet it�s sensitive enough that you can operate it with running gloves. Behind that smooth glass surface is a watch that�s ready to work as hard as you are. 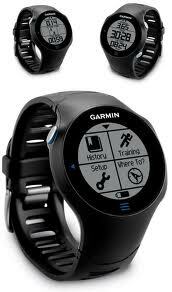 The 610 provides accurate distance, pace, GPS position, heart rate�, calories and more. It can even guide you back to the starting point of your run, giving you the freedom to explore new routes and always find your way back.